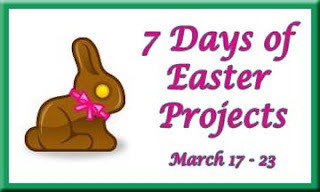 Welcome to Day 2 of The 7 Days of Easter Projects Blog Event. Several crafty bloggers and I are posting 1 Easter project a day for 7 days - just for fun. 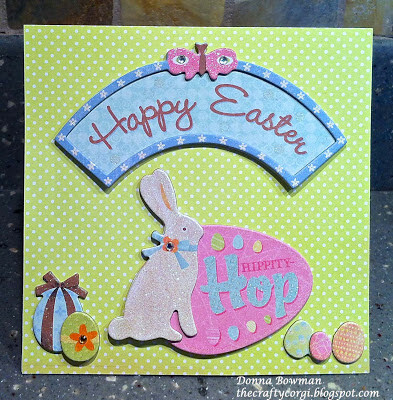 We’re posting projects we made using products we like and hope they will give you some inspiration for your own Easter craft projects. You will find links to all the other participating bloggers below. Hopefully you can find time to look at their blogs and leave comments on any that inspire you. Happy Easter Crafting!! For my card I used some polka dot paper from my Studio Calico Card Kit paper pad and chipboard from K&Company that a friend gave me. 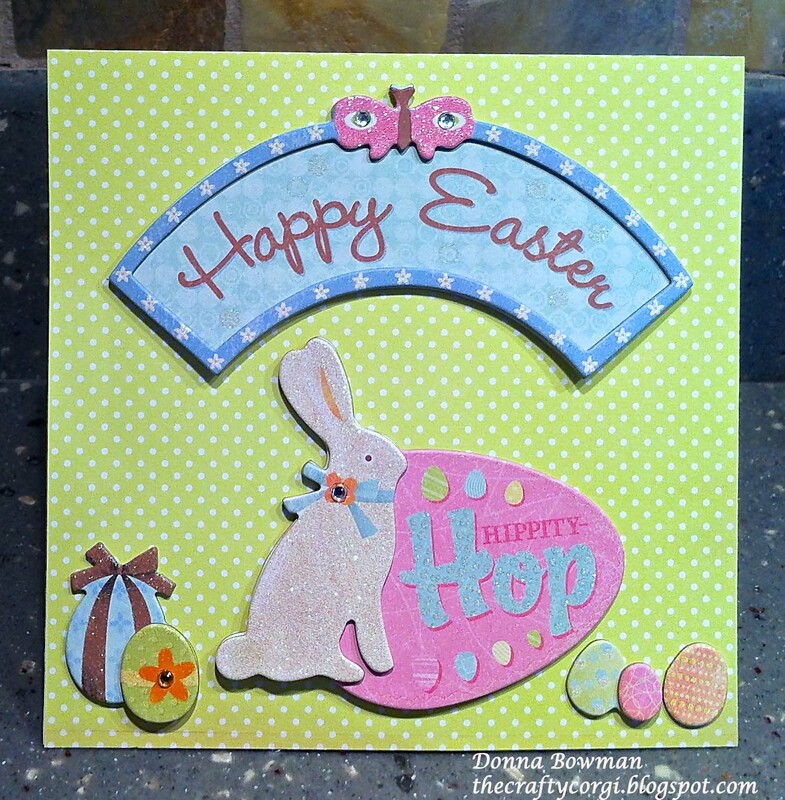 I don't use a lot of chipboard, but it sure is fun and easy to use to make a great card quickly. This is another easy project anyone can do in no time. Thanks for stopping by and I hope you will join us tomorrow for Day 3!! I've been wanting to try their kits. Adorable card for sure! Such fun Spring colours, LoVe the added shimmer! This is so sweet Donna! Adorable. I love the chipboard. Those kits are awesome!